Hardwood Floor Refinishing gives new life to your hardwood floors, restoring the original luster and beauty. If you are not ready to commit to new wood floors, Alexandria Carpet One Floor & Home brings you dust free hardwood floor refinishing that’s easy on you, on the environment and on your floors. We feature waterborne treatments that are specially formulated to be environmentally friendly, so you don’t have to leave your home while we work. Clients who are interested in revamping their old wood floors or are interested in adding a new finish to their existing hardwood flooring can trust our professional flooring technicians to deliver impressive results. 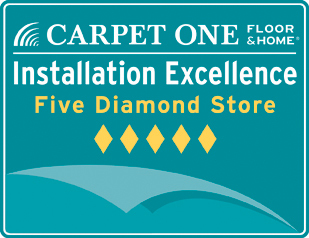 At Alexandria Carpet One Floor, we are known for the quality of our workmanship and the efficiency of our services in homes across Northern Virginia. Our team begins our refinishing service by thoroughly cleaning and removing all loose particles. Next, we strip the existing finish off of your hardwood floors and buff out any scratches. Finally, we lay down a fresh finish that gives your floor the perfect look you want. From glossy to matte, our specialists are ready to cater to your design visions and ensure your floors look exactly how you want them to appear. Every refinisher at Alexandria Carpet One is a trained and certified Master Floor Refinisher. This highly specialized training program certifies that all craftsmen have an advanced understanding of our unique process of refinishing. Refinishing your hardwood floors shouldn’t be a battle with dust. Our Dust Containment System eliminates airborne dust from the sanding process with the most advanced, most powerful dust containment technology on the market. High-powered vacuum hoses connect directly to the sanding equipment and remove dust generated by the sanding process before it can escape into your home. The dust is collected outside, leaving you with beautiful, newly finished floors – and no mess. 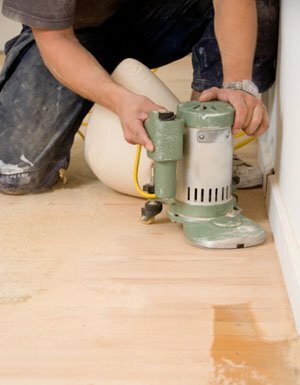 Traditionally, refinishing your floors meant leaving your home for 2 to 3 days to avoid the toxic fumes produced as the finish was applied. Our Swedish waterborne finish sets the standard for safe, environmentally-responsible hardwood floor finishes. It can be walked on in as little as 3 to 4 hours. Relax and breathe freely knowing that you, your family, and your home are safe. And, unlike traditional finishes, it won’t yellow or change color over time.